Be the first to recognize the monster your friends are acting out. Do you think it’s easy? Try it! When we arrived at the Island of Monster Masks, we were welcomed by strange creatures who laughed whenever they saw us. We have begun to fit in by wearing big masks ourselves, but we can no longer recognize one another among the inhabitants of this absurd island. 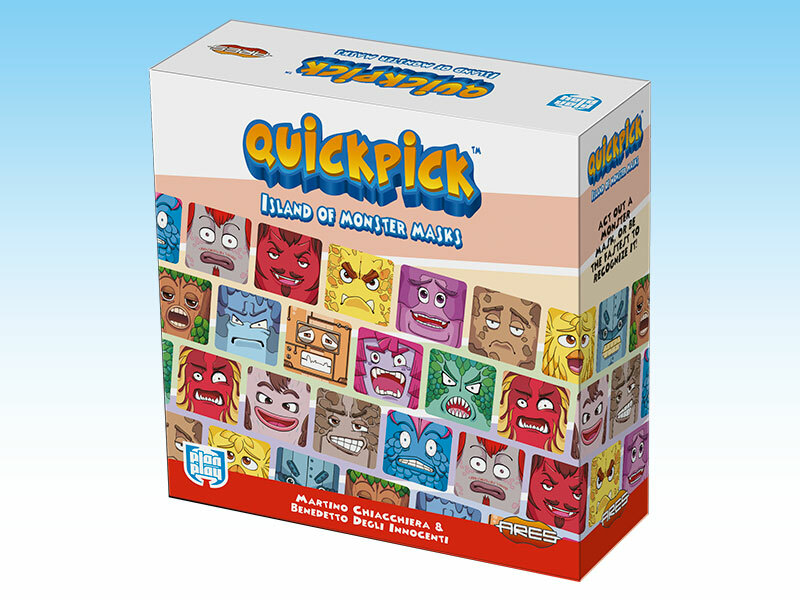 Quickpick - Island of Monster Masks is the first game of a new line presenting innovative gameplay based on the ability of choosing and taking actions quickly, using different perception skills, such as recognition of expressions and sounds. 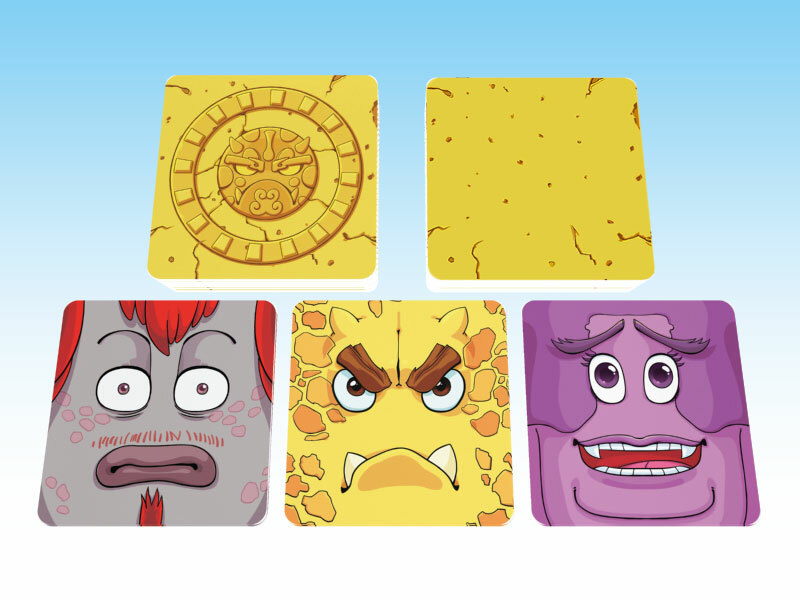 Quickpick is designed by Martino Chiacchiera and Benedetto Degli Innocenti, and is illustrated by Xin Mao.